Looking for the best tours from Las Vegas? 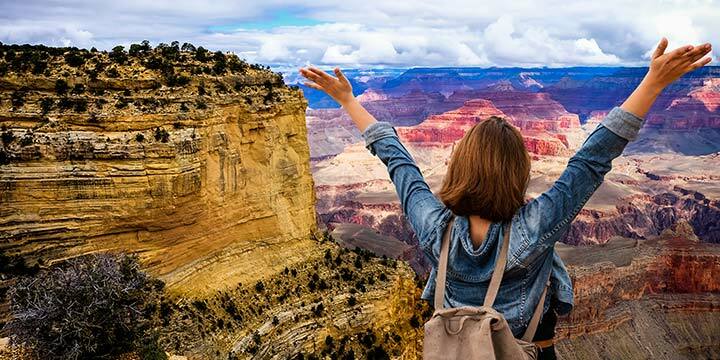 Grand Canyon Destinations is a luxury bus and small group tour company that provides amazing tours of the Grand Canyon, Hoover Dam, and Las Vegas! 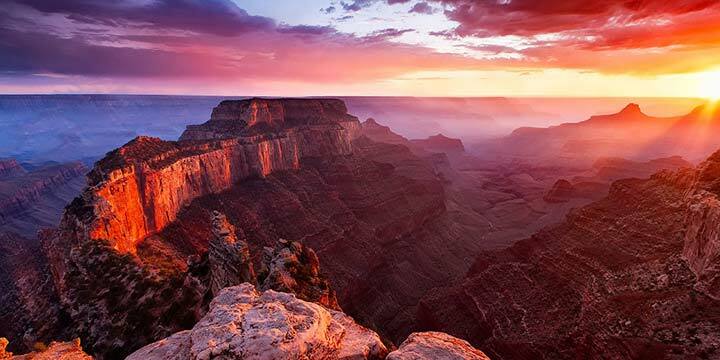 Explore the beauty of the Southwest and take a luxury bus or a Mercedes Sprinter from Las Vegas to all the Grand Canyon Destinations, including Grand Canyon National Park’s South Rim, the West Rim and Grand Canyon SkyWalk, Lake Mead and the Hoover Dam, and Las Vegas’s City Lights! We’re committed to offering you comfort, convenience, and satisfaction! Grab a seat on our Grand Canyon tour bus and go sightseeing in luxury, comfort, and style. No check-in terminals, no waiting. Experience the Mojave Desert scenery as you travel along historic Route 66 to the Grand Canyon National Park. Here’s your chance to get the real scope! Learn about the history, flora, and fauna of the Grand Canyon. Hear our professional and friendly tour guide give a narrative about the beautiful natural wonders surrounding this gem. Don’t forget your camera; our tour guide will lend a hand and take your photos so your memories will last a lifetime. Want to touch that rock or learn more about that artifact? Our professionally trained guides will lead the way! 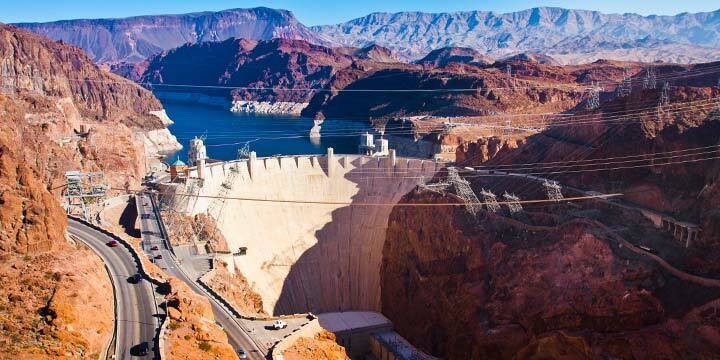 This express tour makes for the perfect short trip to the Hoover Dam! Love Instagram? Get your cameras ready for the stunning and dramatic photo opportunities. Show your friends and family that you had a fantastic time exploring the natural side of Nevada! A delicious breakfast snack and bottled waters are on us. The Hoover Dam is a must-do adventure in the West! 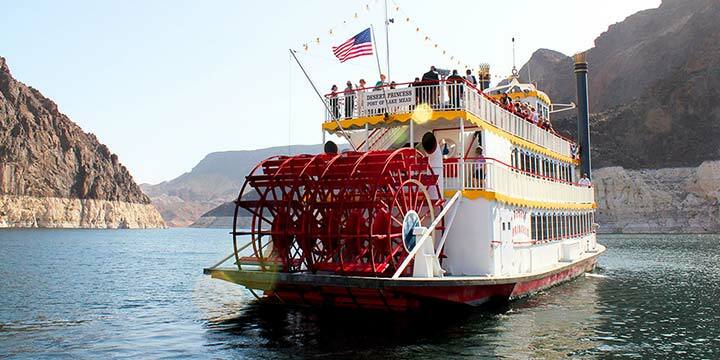 You’ll get to see the Dam and Memorial Bridge from another stunning viewpoint, down below as you climb aboard the Desert Princess Lake Mead boat! So, sit back, relax, and enjoy an absolute adventure! Grand Canyon Destinations Las Vegas Strip bus tour is different than most Las Vegas tour bus companies. You’ll see all the amazing lights from the best viewpoints. 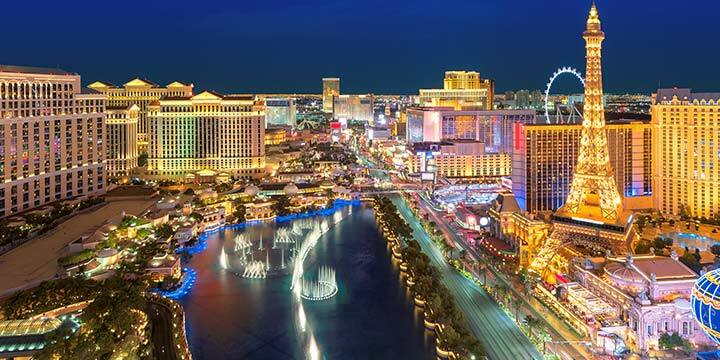 See the famous Bellagio fountains, the Welcome to Fabulous Las Vegas sign, and much more. Enjoy a champagne toast to begin this night full of memories. 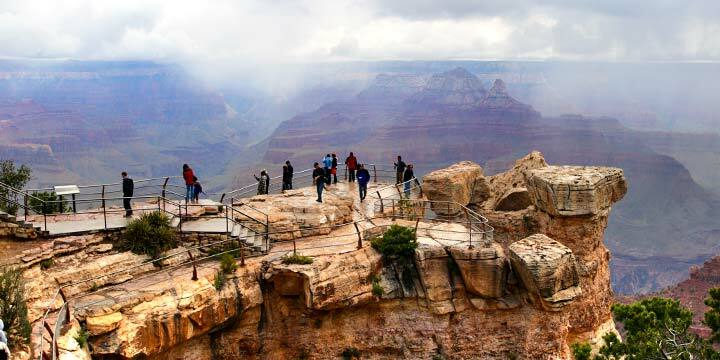 Grand Canyon Destinations is different from the other one day tour operators in Las Vegas. 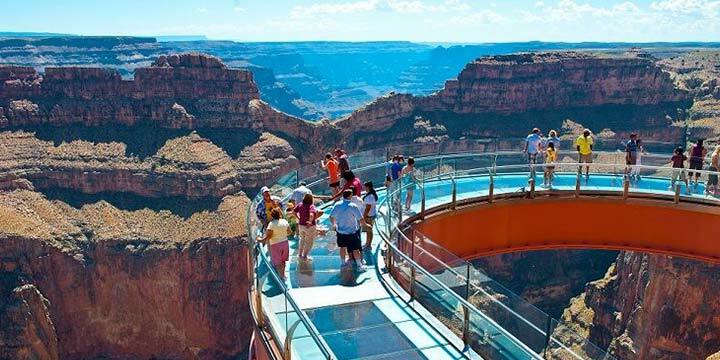 We offer luxury bus and small group tours from Las Vegas to the Hoover Dam or Grand Canyon. Our goal is to provide each and every customer with an amazing tour experience at affordable rates. We guarantee that the Grand Canyon tours we provide will meet and exceed your expectations in comfort, service, and experience. We started this company to provide the best Grand Canyon tours from Las Vegas whether you choose to go on one of our luxury tour buses or small group Mercedes Sprinters. 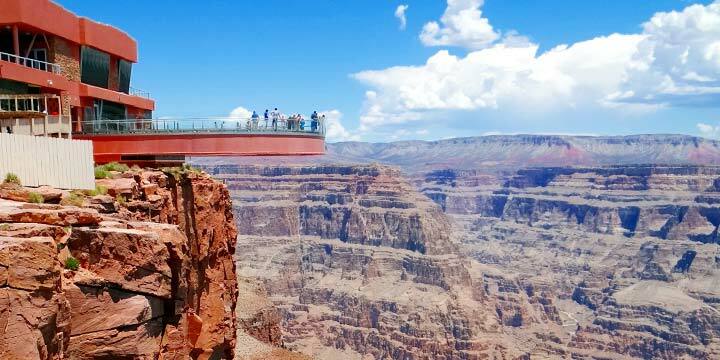 Being the best Grand Canyon tour company means we provide things that other tours from Vegas don’t. For instance, we offer immediate departure after pickups – we do not use a check-in terminal which wastes valuable time that you could be spending at the Grand Canyon! Our vehicles are all less than 3 years old and include complimentary wifi, electrical outlets, panoramic windows, adjustable airline style seating and state of the art entertainment systems! Our drivers and tour guides are all local Las Vegas residents who are thoroughly trained and held to the highest standards so that your Grand Canyon tour from Las Vegas is both safe and extraordinary! 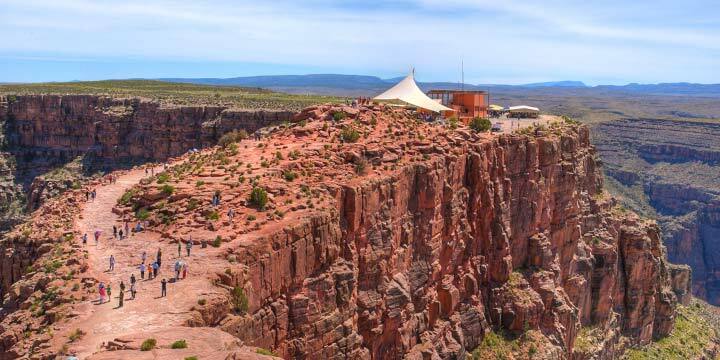 If you are looking for the best bus tour from Vegas to Grand Canyon sites, you have found the right place. Choose Grand Canyon Destinations and experience the difference in quality!